Are you in search of limited edition canvas prints? Then Superchrome is the right place to fulfill your dreams for acquiring limited edition canvas prints at unbelievable prices. 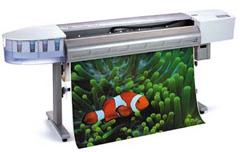 Superchrome, one of the leading large format digital printing companies based in the UK, has earned a reputation for providing high quality and exclusive limited edition canvas prints to clients within and outside the nation. Limited edition canvas prints are the exact replica of the original prints. The number and size of the edition are specified by the artists. Superchrome is thrilled to offer you amazing quality limited edition canvas prints. These prints are so realistic that they will bring joy for many years to come. At Superchrome, we supply each piece of limited edition canvas prints that are hand-signed and numbered by the artist. A fully approved certificate of authenticity is also included with each print. For top-quality fine art reproduction, we utilize the best artistic techniques and technologies. We offer limited edition canvas prints on a variety of museum-quality canvases including water resistant canvas, fast dry matte canvas, fast dry glossy canvas, and coated cotton canvas. To suit your requirements, we offer limited edition canvas prints in a variety of sizes and styles. Please feel free to suggest your options regarding the canvas material and size. We make use of archival pigmented inks for long lasting life. As a final touch, UV coating is applied to prevent fading due to exposure to light. Our prints are delivered bubble wrapped if stretched and sent by Royal Mail. Contact us for quotes. We assure a fast turn over time of just two to three days. Our high quality limited edition canvas prints are very competitively priced. We take pride in our unique collection of limited edition canvas prints, which can add a distinct look to any personal or corporate space. Our efficient and friendly staffs are able to serve you according to your specific requirements within your budget. If you require assistance or further information, take some time to look around this website. You can also interact with any of our customer service representatives and have your questions answered immediately through live chat. Contact us 020 7237 9333 or fax 020 7237 9444 or email sales@superchrome.co.uk. Our experienced personnel would be able to guide you appropriately.